A quick update: Ambiance and Radiance Colors theme pack, which provides Ambiance and Radiance available in 8 different colors, is now available in a PPA for Ubuntu 11.10 Oneiric Ocelot and 12.04 Precise Pangolin users. 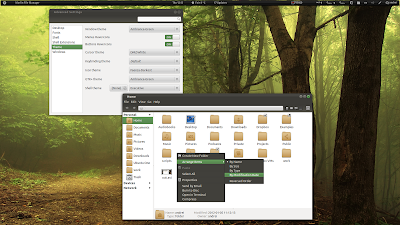 Once installed, use GNOME Tweak Tool or Ubuntu Tweak 0.6 to switch to any of the newly installed themes. The themes are of course also available on GNOME Look.